Looking down Bellvue towards the south end of the plant in 1911. 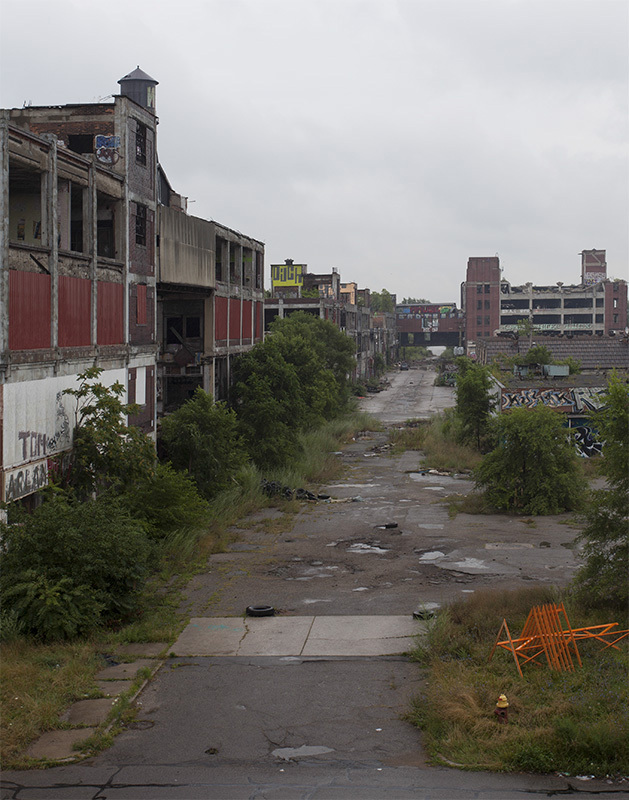 As the Packard plant grew, additional floors were added onto existing buildings. Multi-floor plants became obsolete with the advent of the assembly line, which worked best in low, flat buildings. 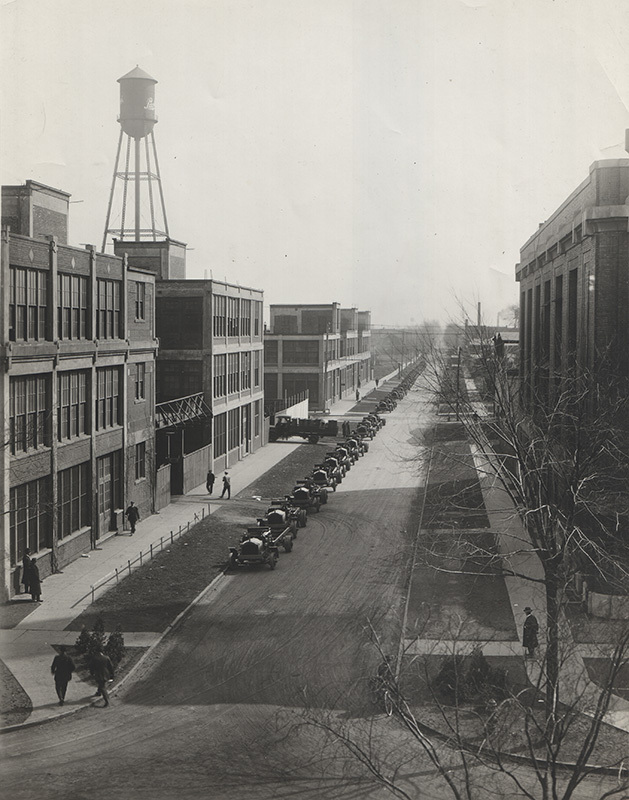 Original photo: Packard Plant South 1911. Private collection.